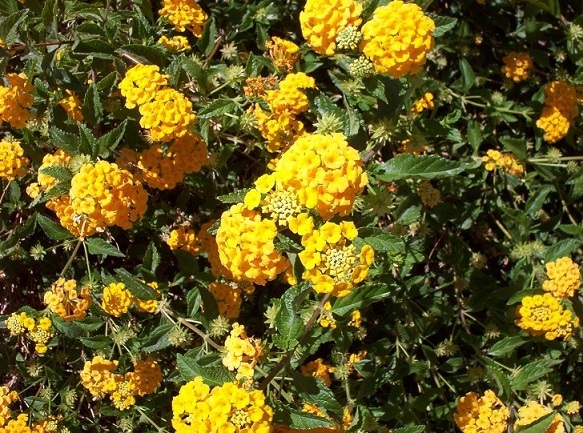 Yellow lantanas are great for adding color to landscapes during the hot summer months. They will look somewhat ragged during the winter but they are definitely perennials in Phoenix Arizona. Yellow lantanas are trailing in form and are very resistant to heat, even reflected heat. 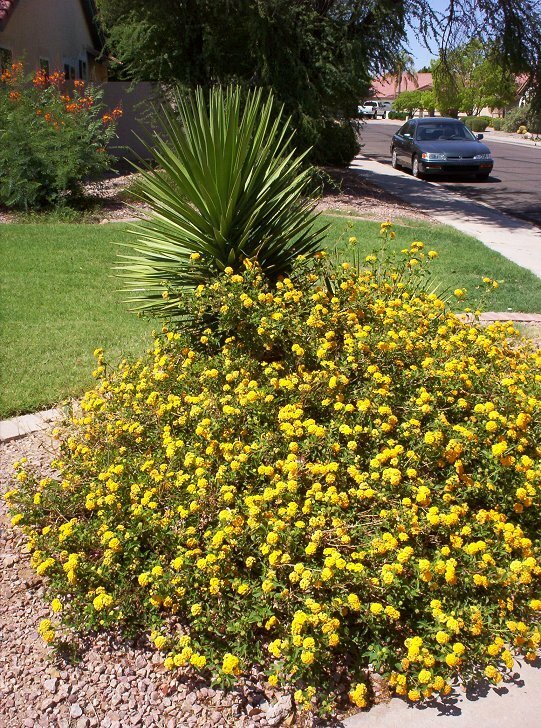 Yellow lantanas are invasive in some climates, but in the Phoenix area this is not a problem because they need supplimental water to grow. The flowers of this plant are mildly fragrant and can even be slightly sweet smelling but often have an unusual chemical smell to them. Yellow lantana flowers are attractive to hummingbirds and bees.